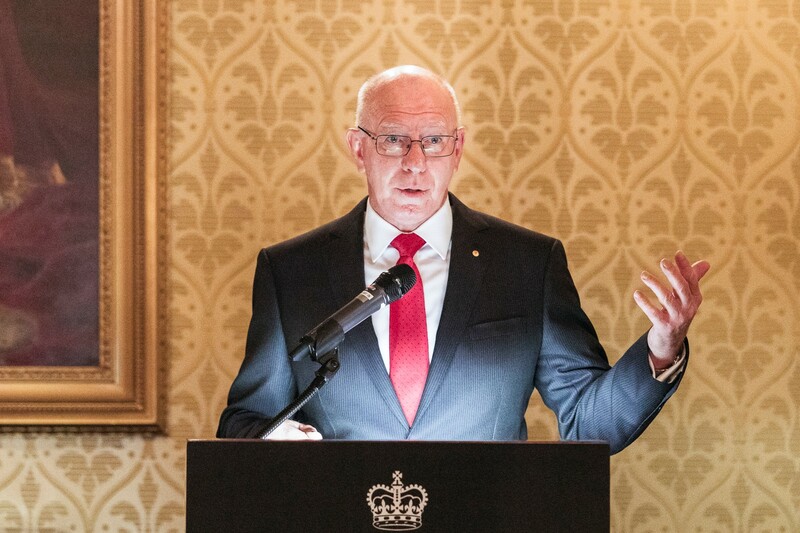 SYDNEY, September 21, 2018 – The Governor of New South Wales, His Excellency General The Honourable David Hurley AC DSC (Retd), officially launched the Governor Phillip Scholarship with a reception at Government House on Tuesday 18 September 2018. Governor Hurley is the first Patron of the new scholarship which aims to invest in the postgraduate education of outstanding young Australian and British men and women from all fields of endeavour to create an inspirational generation of leaders, academics and global citizens for the benefit of Australia and the United Kingdom. The Governor Phillip Scholarship celebrates the outstanding qualities of Governor Phillip, Commander of the First Fleet and first Governor of modern Australia. All scholars selected for this prestigious award must be outstanding in their chosen academic field. An inspirational leader, with forward-thinking views from statecraft to indigenous relations, Governor Phillip's attributes make him an excellent example for a new generation of young Australian and British leaders. To date, the Governor Phillip Scholarship has been generously funded by personal and corporate benefactors and will continue to grow its endowment over time. At the launch event, an ambassador of the scholarship, Warren Mundine (former National President of the Australian Labor Party and chairman of the Australian Government's Indigenous Advisory Council), further endorsed the Scholarship. The first scholar, Katherine Shen (from Sydney with undergraduate studies at the University of Chicago), commenced her Masters in Political Theory at the University of Oxford in 2017. A further two scholars are commencing their studies at the University of Oxford in the 2018 academic year – John De Bhal (from Brisbane with undergraduate studies at the University of Queensland) and Hayley Pring (from Perth with undergraduate studies at the Australian National University), both studying International Relations and Government. Support from the University of Sydney will see British students coming to Australia to commence their postgraduate studies. Established in 2016, the Governor Phillip Scholarship has been created to fund postgraduate awards to outstanding students who wish to study in the United Kingdom or Australia. It is expected that the scholarship will become the most important bilateral postgraduate scholarships in Australia and the United Kingdom. By acknowledging the achievements of Governor Phillip as a statesman, naval officer and humanitarian, the Governor Phillip Scholarship aims to foster leadership, knowledge and excellence and to further the advancement of a modern Australia. Ambassadors of the scholarship include Professor Dame Marie Bashir AD CVO (former Governor of New South Wales), Major General The Honourable Michael Jeffrey AC CVO MC (Retd) (former Governor General of Australia) and Nyunggai Warren Mundine AO (former chairman of the Australian Indigenous Advisory Council). Visit www.governorphillip.org for more information.